What do I need to know to be in compliance? It is more important than ever to protect your client’s vital information. In fact, it is not only important it is your moral and legal obligation to safeguard your clients. Shred Wise, Inc. is your frontline of defense against identity theft and information breaches. It is important to protect yourself and your clients from identity theft, information breaches, and intellectual property leaks. 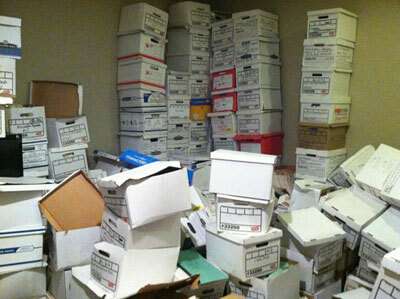 Documents with conﬁdential information should be stored and shredded in a secure environment. Shred Wise, Inc. offers on-site mobile document destruction services, to bring compliance standards to your home and ofﬁce. As a professional shredding service, Shred Wise, Inc. helps your company become compliant with the federal and local laws regulating document destruction. Paper Shredding is the essential ﬁrst step in complying with the law. Security to protect your business against losses. These might come from Identity Theft, loss of business information or intellectual property. Security to protect your clients and their information. Security to insure your company is compliant with the Laws governing Document Destruction. Shredding provides a substantial measure of loss-prevention and, if used correctly, insures your company against the huge fines which are now in place for those who mishandle paper and ignore the necessity of being in compliance with State and Federal Laws. According to the FTC and the Better Business Bureau, approximately 9.3 million adults have been victimized by some form of identity theft annually. The Better Business Bureau reports that Identity Theft is more prevalent ofﬂine with paper than online. The Better Business Bureau estimates that over 80% of all identity theft comes from unsecured paper records. Less than 5% from online transactions. Along with federal and state ﬁnes, you can be sued by all parties injured as a result of identity theft. Each case typically results in a business paying out well over $150,000.